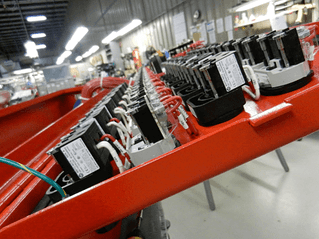 It’s potentially more important that your panel supplier has the technical expertise and other specialized offerings such integrating pneumatics and hydraulics into your panels. 1. Your panel supplier must help drive your company’s success. Flexibility is a must-have for a panel supplier. You need a go-to, turnkey partner that can both supply the necessary parts and/or perform labor-only functions when you supply them. The right supplier can be relied upon for projects of a single piece, a single batch, or for recurring projects as they occur. You should expect to partner with this supplier for future projects and/or recurring builds, knowing they will deliver with superior levels of trust and competence every time. 2. Your panel supplier must prioritize responsiveness and timely customer delivery. This might seem like a given but it’s the most important quality to look for in a panel supplier. Many projects miss deadlines because suppliers don’t feel the same time pressures as their customers do. You want a panel supplier that works as tirelessly and on-schedule as if your deadlines were their own. The right supplier looks for innovative ways to keep your costs down. 3. Your panel supplier must adhere to all applicable regulations. You want an outfit you can trust – and not just in the sales meeting. This means you want a professional firm with certifications that adhere to all applicable international regulations. In-house quality control is key and it’s important to ask your panel supplier about their processes and procedures. By finding a panel supplier that holds to these three principles, you will be setting your project – and company – up for success. The more you can rely on their professionalism and adherence to quality control, the easier it will be to the gain the peace of mind your company deserves. Read about how one company found a local panel supplier who helped them build petrochemical refining components, toxic vapor suppression equipment and other industrial products. Together, the company and panel supplier have built a long-term relationship based on continual innovation, which has driven growth for the company.